Our new album “What Comes To Mind” is available everywhere now! Leeds based Haggis Horns first hit the music scene in 1999 as both a band and brass section, the Horns making their first recorded appearance on The New Mastersounds debut album that year. Featuring some of the finest brass and rhythm section players in the UK, Haggis Horns musicians have played live and recorded with a host of major music artists including Mark Ronson, Corinne Bailey Rae, Lou Donaldson, Amy Winehouse, Lily Allen, Martha Reeves, Jamiroquai, John Legend, Cinematic Orchestra, Morcheeba, Roots Manuva, Finley Quaye and Nightmares On Wax. 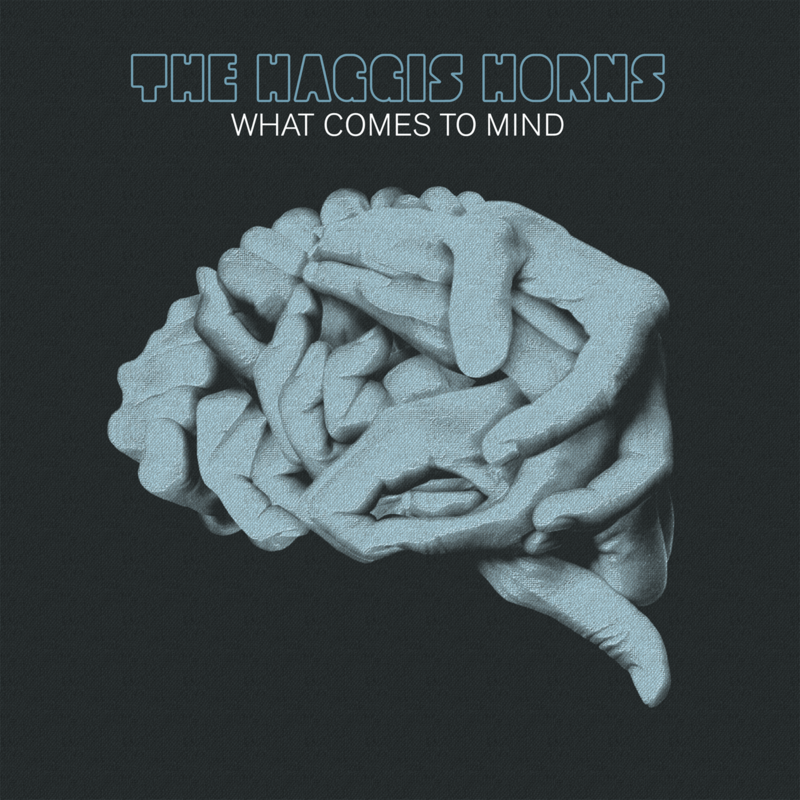 With five singles on UK independent label First Word Records plus two albums (“Hot Damn!” in 2007 and “Keep On Movin’” in 2010), they released their first title on their own Haggis Records in summer 2015, the aptly titled “Return Of The Haggis EP”. “What Comes To Mind” is packed full of feel good funk, soul and boogie that pays homage to the band’s musical heroes of the 1970s – Kool & The Gang, Donald Byrd, The Blackbyrds, The Mizell Brothers, Earth Wind & Fire. There’s plenty of dancefloor-filling funk for the clubs – “Out Of My Head”, “It Ain’t What You Got”, “Can’t Stop The Feeling” – plus jazz funk instrumentals like “Return Of The Haggis” where the band get the chance to stretch out and cut loose on the solo sections. For deep soul heads, check the slower tempo gospel tinged vocal track “Give Me Something Better”. British soul past or present doesn’t come much better than this! New label. New album. The Haggis Horns have well and truly returned….